Robert David STEELE Vivas is a native New Yorker who has lived practically all over the world. He is best known for promoting the ubiquitous use of Open-Source Intelligence (OSINT), and more recently for his latest book, “THE OPEN SOURCE EVERYTHING MANIFESTO: Transparency, Truth & Trust“. Steele is a former clandestine operations officer with the CIA. He served three overseas tours focused on terrorists and extremists. Returning to Washington he managed global counterintelligence for a denied area target and then served in two other of the CIA’s four directorates doing advanced information technology (after which he was selected into CIA Mid-Career Course 10). He left the CIA to serve as the second-ranking civilian in Marine Corps Intelligence, responsible for setting up the Marine Corps’ intelligence center while creating a new global analytic model that fully integrated military, civilian, and natural factors, each with three to five level of difficulty. All of it – sources, methods, and finished intelligence – was unclassified and shareable with foreign coalitions and the public as well as every member of Congress. Steele is against unwarranted secrecy and torture in any form — he was among those who signed the letter to Senator John McCain. He has, since his articles in the 1990’s and his first book, “ON INTELLIGENCE: Spies and Secrecy in an Open World” (2000), been arguing that U.S. intelligence reform is desperately needed, and that the private sector can perform a high percentage of U.S. open-source intelligence needs and reduce the cost thereof to the U.S. government. As the foremost pioneer in the world for modern OSINT, his focus has been on sharing instead of secrecy; on making sense instead of producing secrets, and on leveraging open source and methods to provide universally-transparent ethical evidence-based decision-support. He is one of a handful of pioneers of “Collective Intelligence” and was among the first and is still among the most committed advocate for hackers as a national resource — “like astronauts, pushing the edge of the envelope, full of the right stuff.” Like one of his heroes, Michel Bauwens, he also advocates peer-to-peer technologies in every aspect of our life, recommending an “all in” approach to all the opens together. 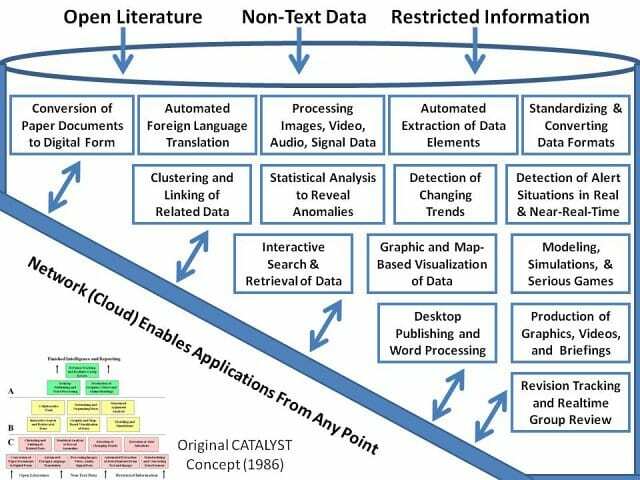 Steele specializes in multinational information sharing, harnessing the distributed (and largely volunteer) intelligence of the Whole Earth, increasing transparency, empowering bottom-up self-governance while striving to eradicate fraud, waste, and abuse – corruption – through the creation of public intelligence in the public interest. Steele’s Open-Source Everything philosophy – unusual for a former spy – was presented in 2007 at Gnomedex; the keynote speech: “Open Everything: We Won, Let’s Self-Govern” has become cult viewing within many communities including Anonymous. In 2011 Steele became one of the three original candidates for the Reform Party nomination for the presidential race in 2012. 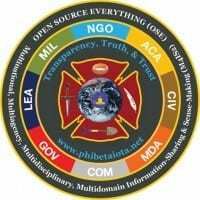 Steele’s work — and that of 25 other contributors as well as archived materials from over 750 international authorities on OSINT — can be seen at Phi Beta Iota Public Intelligence Blog – “The truth at any cost reduces all other costs.” Today he is unemployed and seeking righteous work anywhere in the world. – Robert, you worked with the CIA in the midst of the Cold War when the KGB was your main adversary. The USSR is long gone now, and much of the warfare has moved over to computer displays, so to speak. What is your viewpoint concerning the chance of a real cyber-war breaking out? If it happens who can be the major opponent to the US in it? – First off, let me say that when it was my privilege to be in the clandestine service, we did everything. The KGB certainly was the first priority, but we covered virtually every target of possible interest. Now to your question. The chances of a cyber-war are the same as the chances of Y2K bringing down the economy – zero. As with nuclear war, no one wins in a cyber-war. Much more likely is a pathetic melt-down stemming from continued government and corporate irresponsibility with respect to the security of Supervisory Control and Data Acquisition (SCADA) systems, as well as personal financial and communications information. I would also point readers to Mark Bowden’s “WORM: The First Digital World War”, which ably makes the point that no one in the USG is doing anything relevant to defend us against a cyber-war – the heavy lifting is being done outside the government, despite the fact that this has been a primary responsibility for the National Security Agency (NSA) since the 1990’s. I wrote the warning letter in 1994 that was ignored, and more recently, in 2010, I wrote a piece on “America’s Cyber-Scam” for Homeland Security Today. Much scarier is the very high probability that small groups, whatever their motivation, will attack specific cables that are easily identified – as I used to lecture years ago, we make it easy by identifying cable entry and exit points at the water’s edge. Just today there is a story out on three Egyptians captured 750 meters offshore who actually found and were cutting a major cable that could have taken an entire continent (Africa) offline. This is one reason I feel very strongly that we must create an Autonomous Internet that is impervious to both non-state actor attacks and state attempts to censor or close down civil Internets. As long as our government fails to act in the public interest, it is the greatest threat to our continued security and prosperity, not any other contrived or inflated threat. 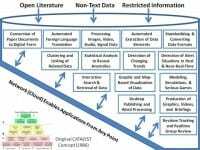 – What do you think of the CIA’s current human resources from an IT professional perspective? 3) there are no adults with authority over USG and IC IT – no one with financial authority is forcing the issue of integration and interoperability at the code and data level. OMB and GSA do what they can in the search for common solutions, but the reality is that secrecy and accountability are incompatible, and the degree of ignorance and arrogance among USG CTOs cannot be understated. 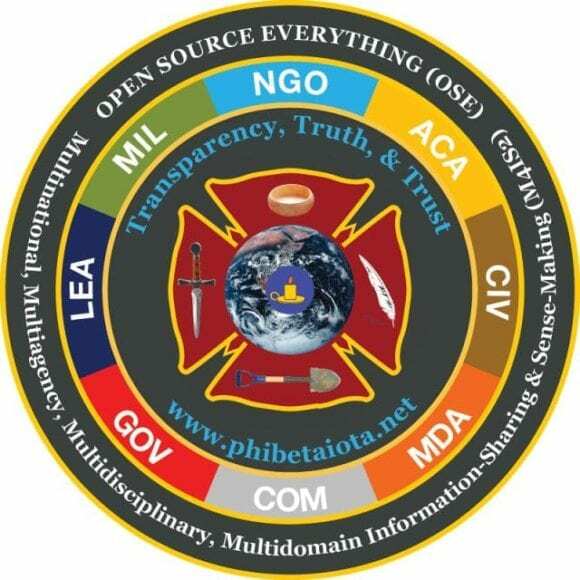 I served on the Information Handling Committee (IHC) as well as the Advanced Information Processing and Analysis Steering Group (AIPASG) in the 1990’s, and have supported major commands with up to 23 non-interoperable software implementations in the past decade and the bottom line is still the same: CTOs have not learned the fundamentals that Paul Strassman has written about is all of his books including The Squandered Computer: Evaluating the Business Alignment of Information Technologies.